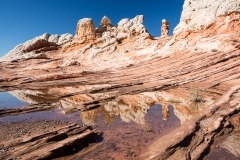 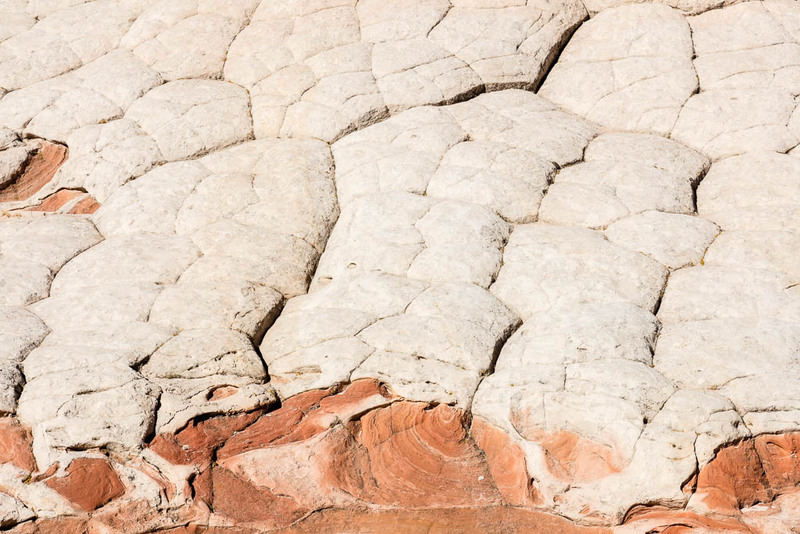 Discovered by photographers around 1995, the White Pocket is located in a very remote area within the Bureau of Land Management’s Vermilion Cliffs National Monument. 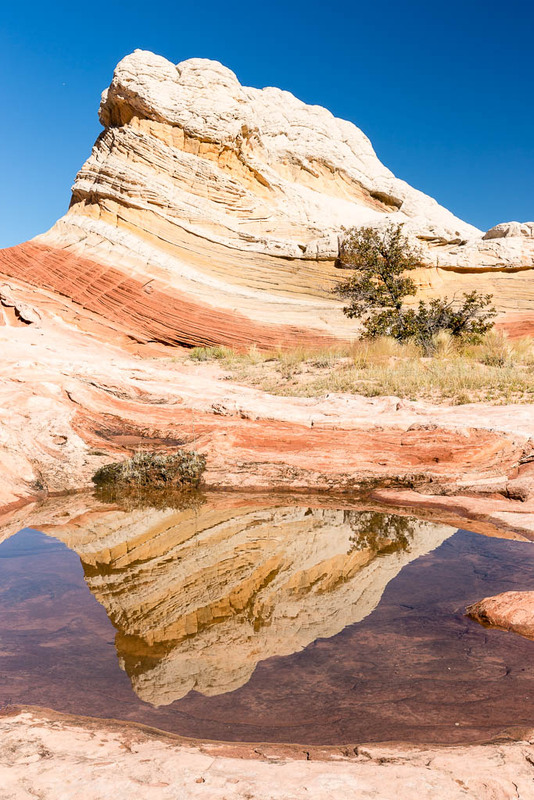 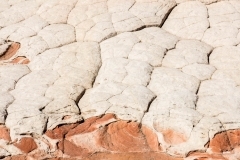 The term “white pocket” refers to an area of white and coral colored cauliflower rock (aka brainrock) to the east of the White Pocket Butte, and has many water pockets which accounts for the name. 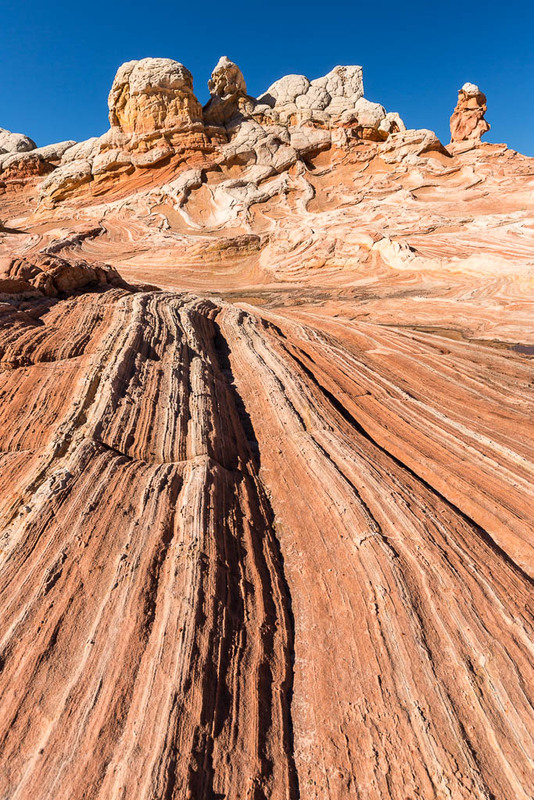 The White Pocket is small, about a square mile, but is a photographer’s wonderland of multi-colored swirls, twirls and waves. Getting to the White Pocket requires 4 hours round-trip in a special high-clearance vehicle to safely get through the deep sand along the route. 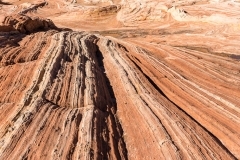 It was work every minute to get there and get back!